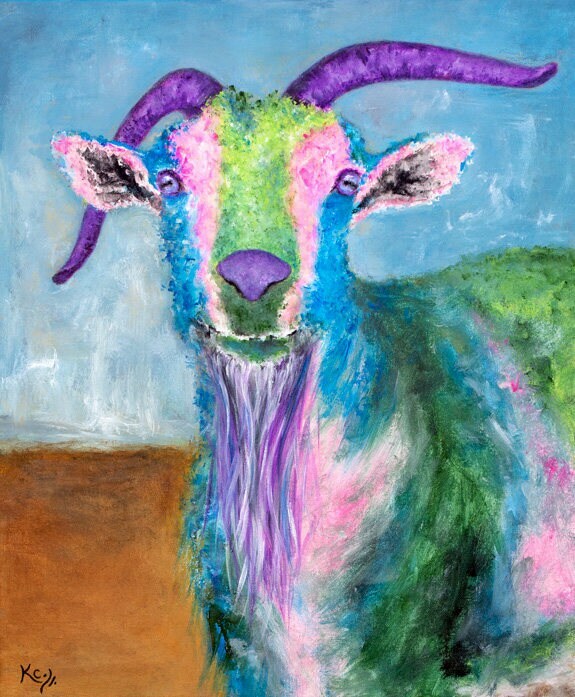 I painted "Billy Goat" in 2017. 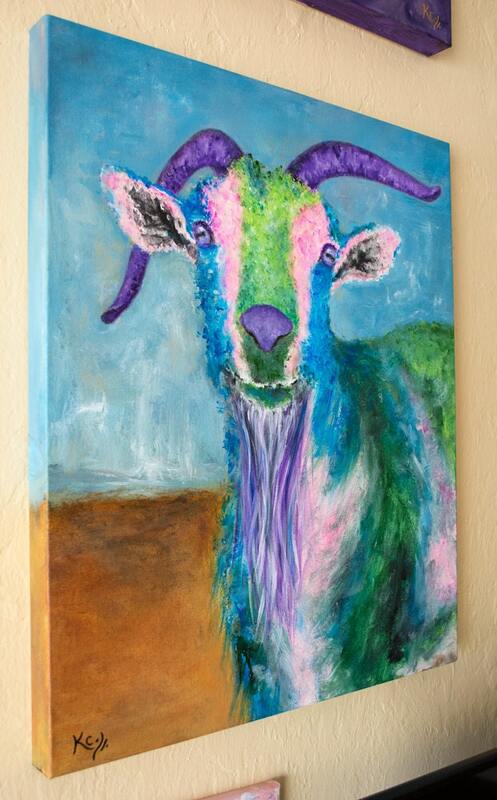 It is a portrait of a goat that I saw at the Wichita Kansas Zoo. 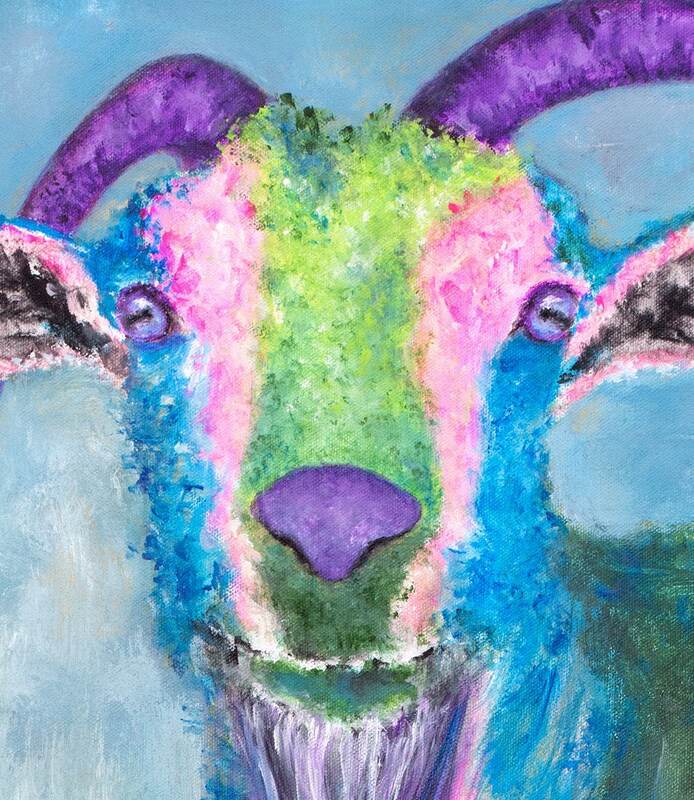 This goat themed wall art would be a perfect gift or purchase for anyone who loves goat art, colorful animal art, farm animals, or goats. 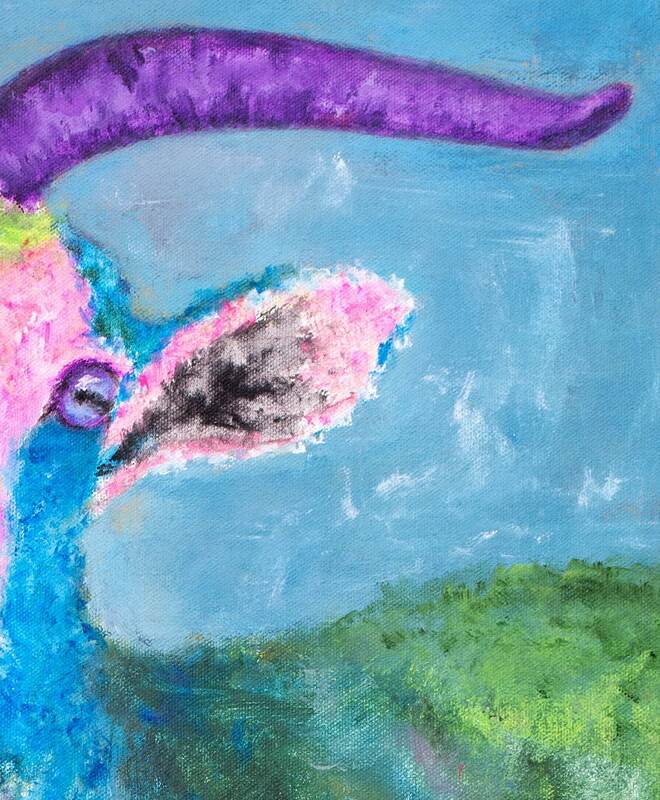 The painting is signed on the front, and it comes with a certificate of authenticity. 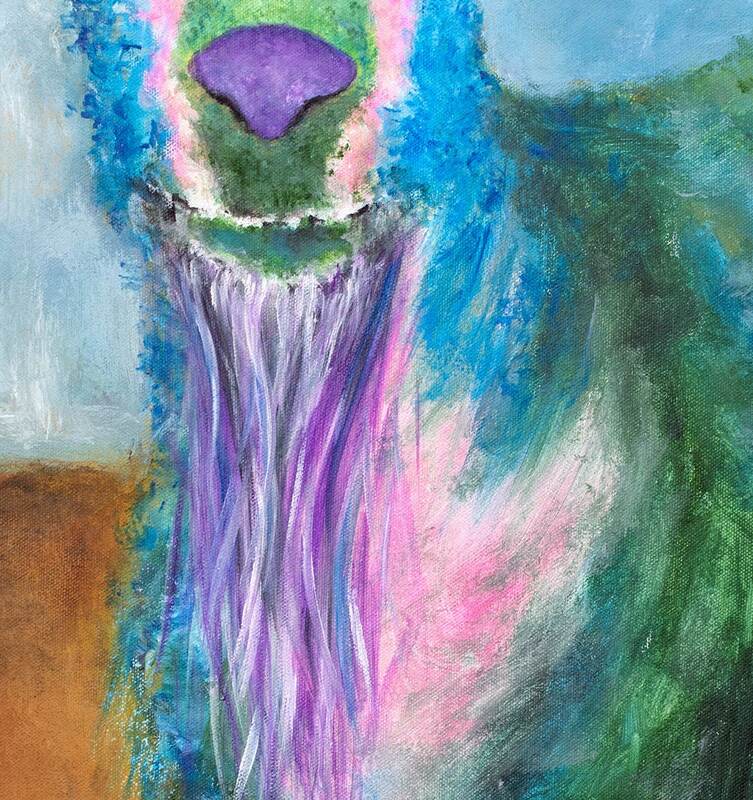 The painting is also wired, the edges/sides are painted, and it is ready to hang.